"Oops! 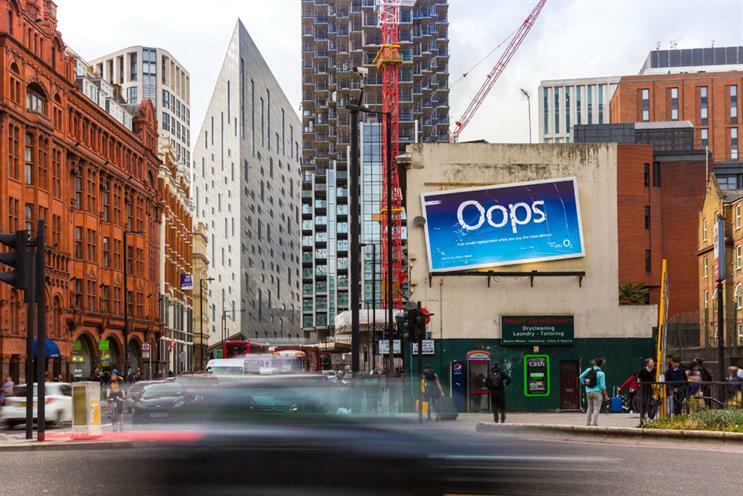 ", the O2 campaign promoting free screen replacement, had a firm grip on the top prizes at the Outdoor Media Awards, announced at a ceremony on Wednesday night (June 27). The outdoor campaign by Adcity, Posterscope, Havas Media and VCCP cleaned up by winning the Grand Prix and both the Creativity and the People’s Favourite awards, as well as being highly commended in the Multiple Format award. Mytaxi’s "Helping London Move More Freely" campaign by Kinetic, the7stars, DOOH.com and Guns or Knives picked up two plaudits on the night: it won the Data award and was also given a special mention in the Grand Prix category. The awards, run by Clear Channel in partnership with Campaign, reward excellence in out-of-home advertising, from the most memorable, strategic and innovative campaigns to the brilliant people involved in creating them. This is their 12th year. A new prize introduced this year saw Jay Young of Talon crowned as the Rising Star and James Rawlings of S3 Advertising and Nate Barker of MediaCom Outdoor both highly commended. This award recognises those who have joined out-of-home advertising within the last five years and are making waves within the industry. Claire Beale, Camaign's global editor-in-chief and chair of the judges, said: "There were some really strong contenders this year, and it's great to see these awards just getting better and better. Congratulations to all the winners but particularly to O2 for deservedly claiming the top prize." The Grand Prix winner will receive £100,000 worth of media space to use across Clear Channel UK screens. The People’s Favourite Award is the only category not be judged by the panel, but by over 1,000 members of the UK public. The awards were revealed at an evening ceremony at The St Pancras Renaissance Hotel in London, hosted by radio DJ and TV presenter Scott Mills.